Dance East, based in Jerwood Dance House, which opened in 2009, is the cultural centre of the regenerated waterfront in Ipswich. Although based in the East of England, with a strong regional focus, it also has significant international appeal. 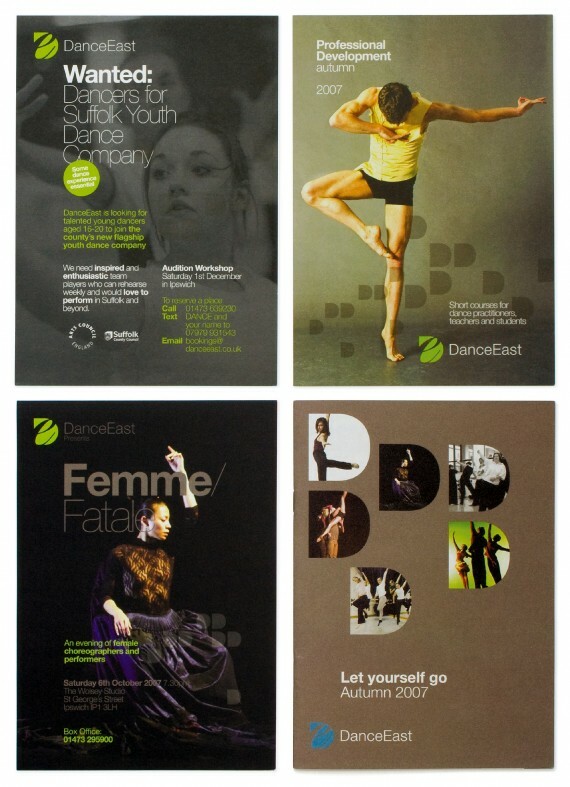 With three architect-designed dance studios, a 200-seat studio theatre, fitness suite, resource centre and café bar, Dance East is a fantastic place to participate in dance and to see dance. It presents year-long programmes of emerging and established artists from across the East of England and around the world, and supports the production of new work. 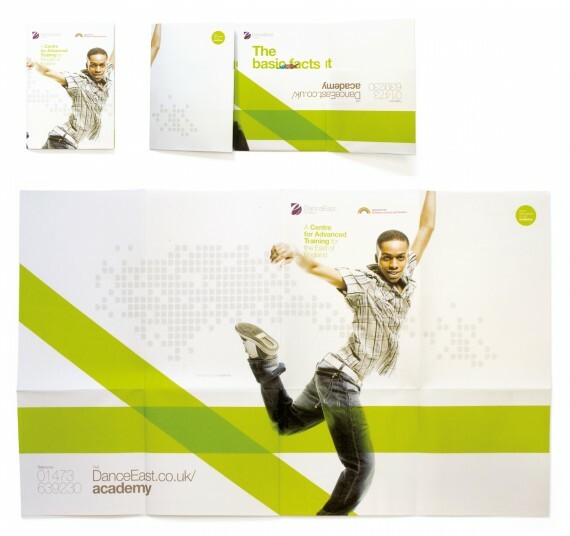 It also is a community hub for learning and participating in dance. To coincide with the building of Jerwood Dance House, Dance East decided they needed a new positioning and brand identity to help promote themselves to sponsors, to create awareness for fundraising and ultimately to promote the performances and activities of Dance East itself. In particular it needed to reflect both the traditional and contemporary approaches of the organisation. Dance East is interesting in that it is multi-faceted. It puts on productions but also provides educational and recreational dance. The productions are both experimental and mainstream. The teaching is both theoretical and practical. 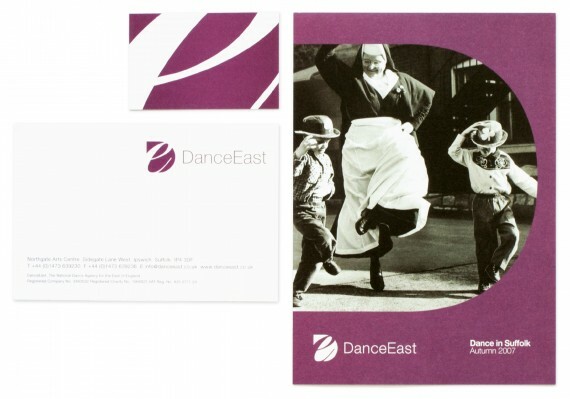 Dance East embraces young and old, people from all social, ethnic and learning backgrounds. It is democratic, not elitist. It uses dance to help break down social barriers and stereotypes, to encourage people to embrace new things and think differently. This point of difference is encapsulated in the idea “Let yourself go”. It encourages people – whether as an audience, learner or participant – to stimulate their minds through the body and the act of dance. It is both a call to action – literally to come to Dance East to see what it offers – and a challenge to step outside one’s preconceptions. With thanks to Dana Robertson.